The Newport Harbor Athletic Foundation‘s mission is to support all athletic programs on campus through concussion testing, return to play, daily athlete needs and supplies and trainer attendance at games. They are hosting their First Annual Golf Tournament on February 11, 2019 where there will be a Helicopter Golf Ball Drop to benefit the athletic teams. Golf balls are $10 each and each Athletic Program gets 50% of all the balls they sell. In addition, the top team on the leader board receives a bonus! Click here for more information about the Golf Ball Drop. 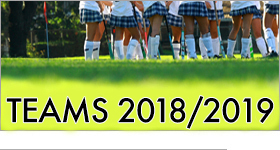 There is a drop down menu to field hockey – we are currently in fourth place!